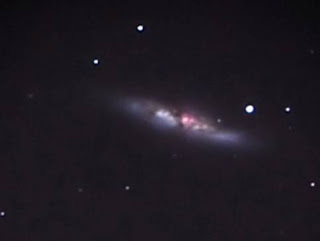 Member Keith Davies took these images last night in his garden observatory despite the sub-zero temperatures. 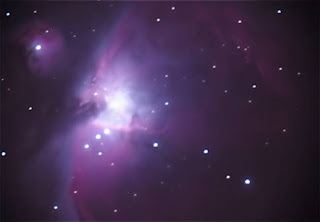 "All these images were taken through my Celestron 11" telescope, both M42 and M82 were taken with my Nikon D700 digital camera. Taking a few different exposure timings (the longest for both was 2 minutes) I then used Registax to produce the final image. 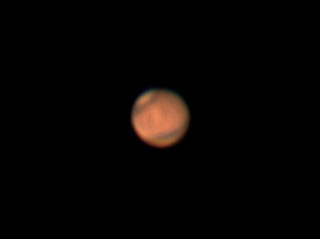 With Mars I used my Imaging Source DBK camera and a 2x barlow. Seeing conditions were poor yet again, plus Mars has rotated slightly so there is not much to see."